Here, we will first see how to migrate from a data source using the option to specify a file or folder. Use the file option for .xls or .mdb files and the folder option for plain text files (each file of supported type in that folder will then be considered data for different tables by the text-ODBC-driver). 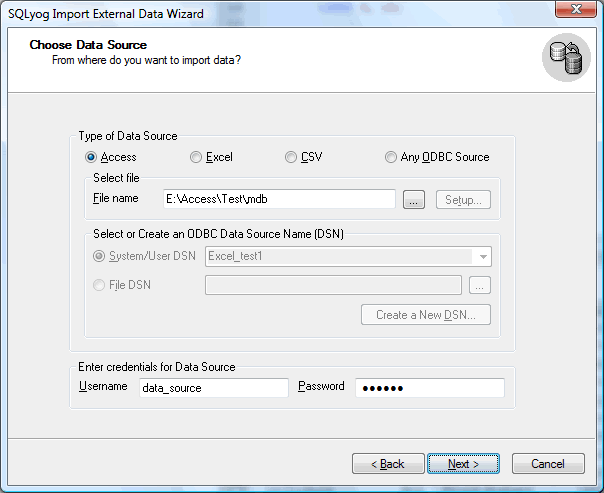 Here we will see how to migrate from a data source using the option to specify a DSN. You configure such DSN from Windows Control Panel... 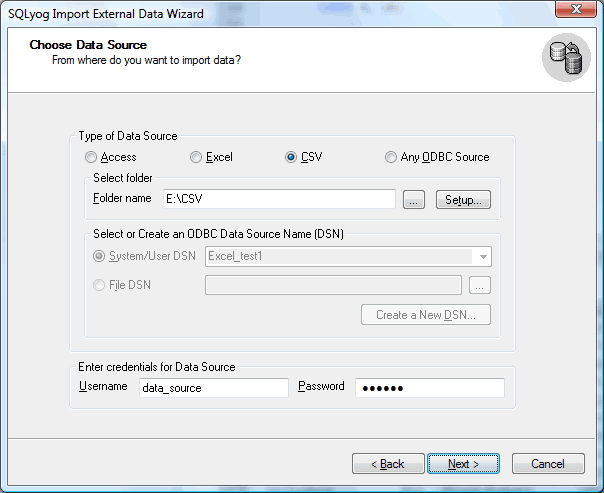 Administrative Tools... Data Sources in advance or the Import External Data wizard will give you an option to do this in the process. To use a preconfigured DSN you may select from one of the System/User DSNs displayed. If the drop-down list of available System/User DSNs does not contain the one you need, Press the button New to add it. As an alternative, you may specify a File DSN. In the boxes below specify the Username and the Password for the source database, if required. The rest of this paragraph will take you through a step by step guide to Import data from MS SQL Servers to MySQL. 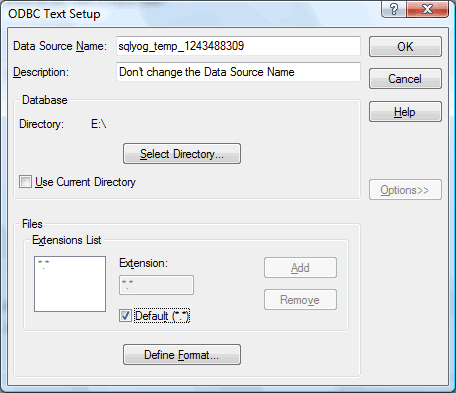 The example used is the 'PUBS' database that ships as a demo database with SQL server.